Good Pencil Day everyone! Today’s page required me to take a lot of photos of myself to get some of the key poses right. For a page that has no fighting in it the page was difficult in trying to make sure all the poses were as genuine as possible. I had photos of myself laughing, pointing, screaming, putting a balloon in a headlock. 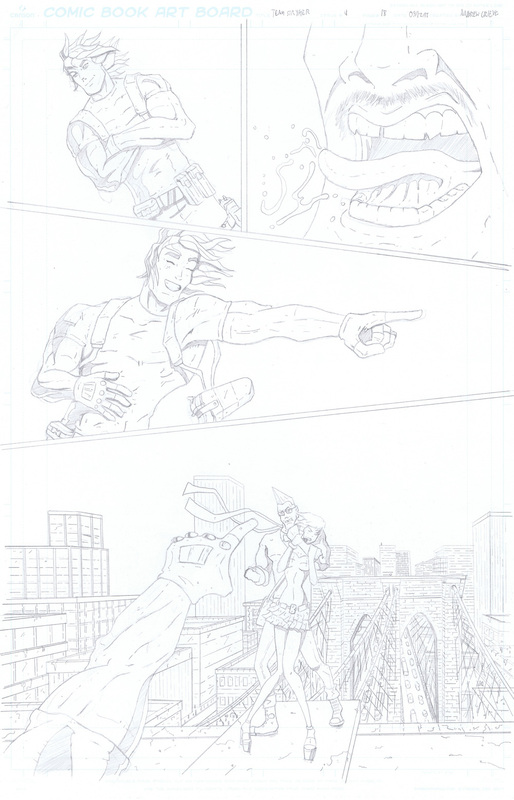 It’s never a dull moment when drawing a Team Stryker page. Have a great weekend and don’t forget to check back on Monday for page 19 of Team Stryker Mission 004! They’re all awesome but I really love the pointing one.